MCA co-founder of the hip-hop trio The Beastie Boys has passed away at the age of 47. MCA was a lyricist, bassist and video director for the group. Personally, I think 47 is way too young for someone so talented. 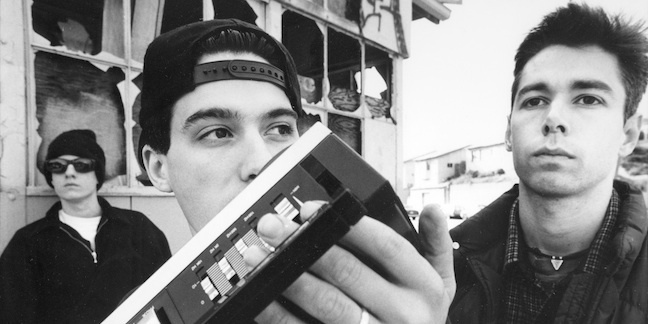 Beastie boys had punk origins, but ended up helping to pave the way for hip hop in mainstream media. We all grew up with License to Ill in some way shape or form. We listened to The New Style and were introduced to Brass Monkey, Paul Revere, Girls etc… License to Ill is still one of my favorite hip hop albums because you can listen to it all the way through. It is one of those that pumps you up and keeps you there. You can dance to it and someone is always laughing when you recite the lyrics as emphatically as possible. The kids in the band picked up brass instruments because of it and all the suburban rappers felt like they were included in a pop culture phenomenon. I feel like we are losing all the good ones. MCA was an amazing lyricist and enunciated well enough that we all understood and appreciated his wit and puns. It is always sad when we lose a celebrity because we allow them to represent a time in our lives and some even look to them as heroes. So many bands and artists look to the Beastie Boys as an influence and MCA’s loss will be felt all over. So I invite you to help me celebrate his life by enjoying his music and watching his amazing music videos.